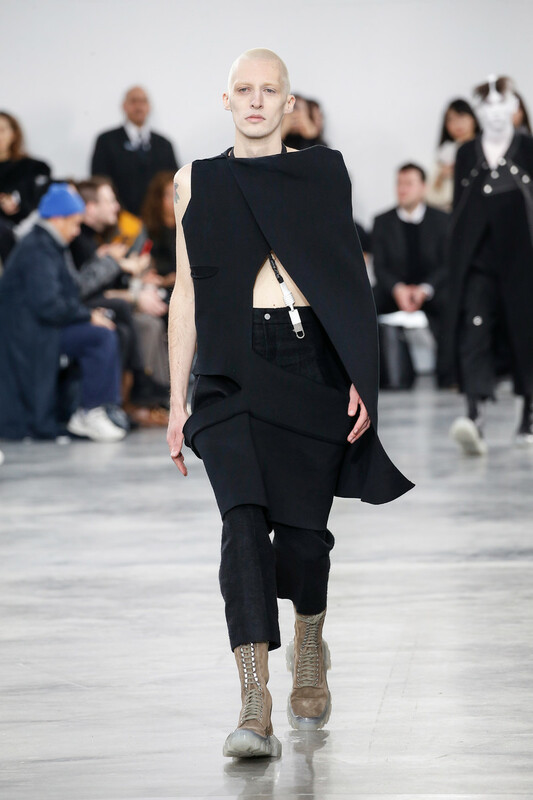 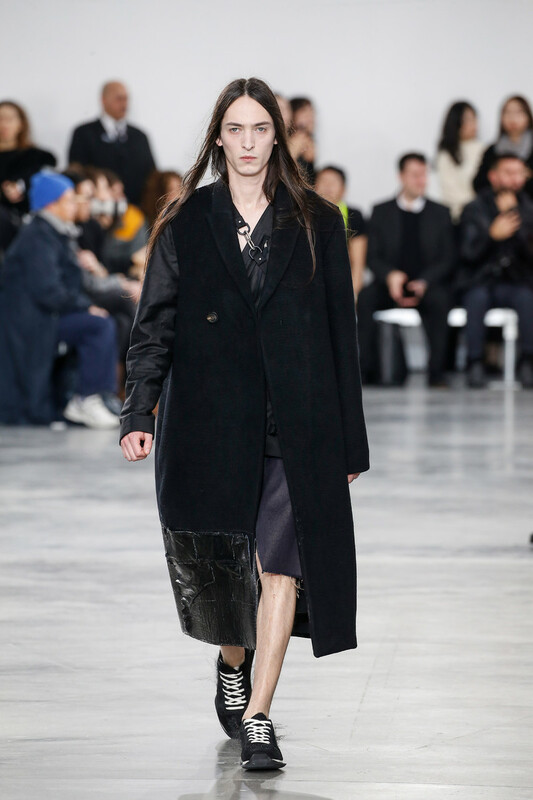 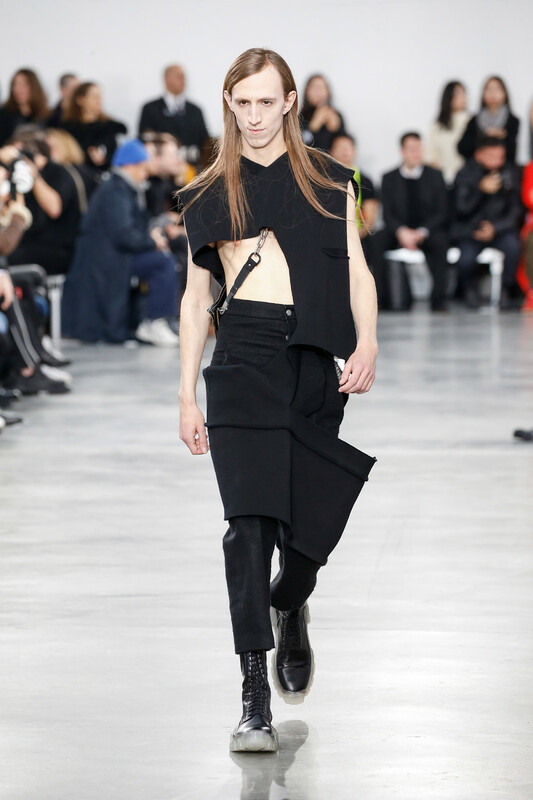 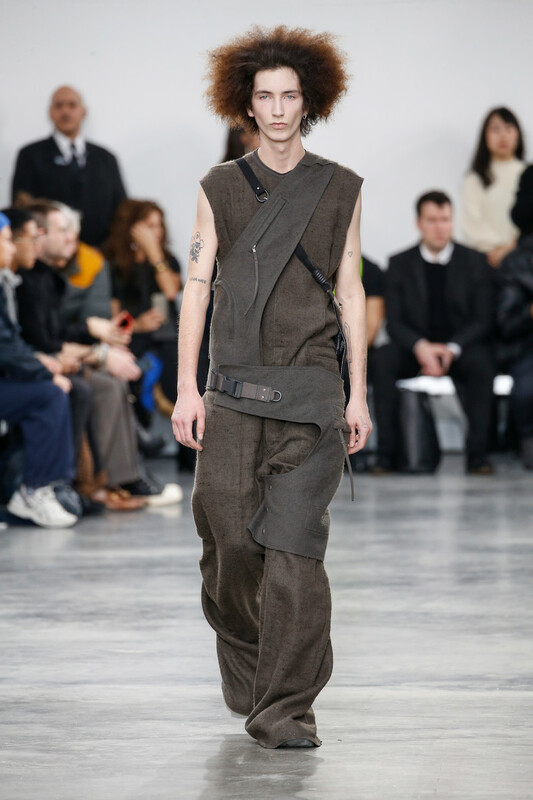 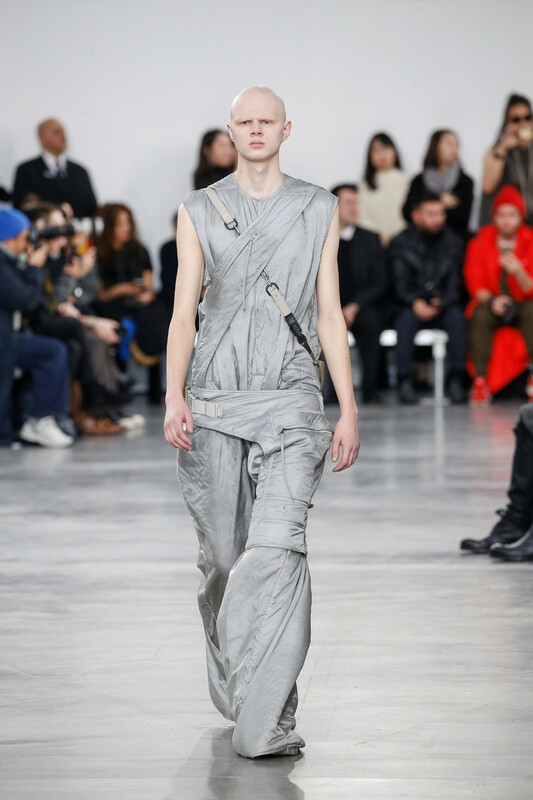 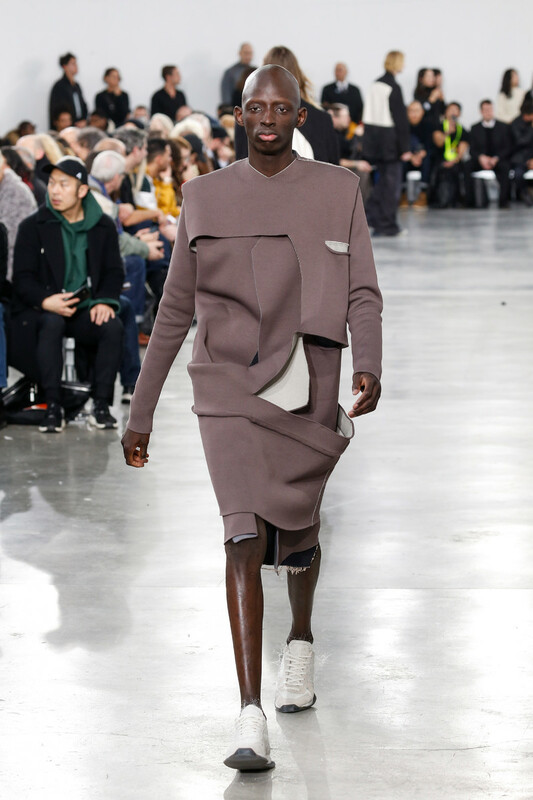 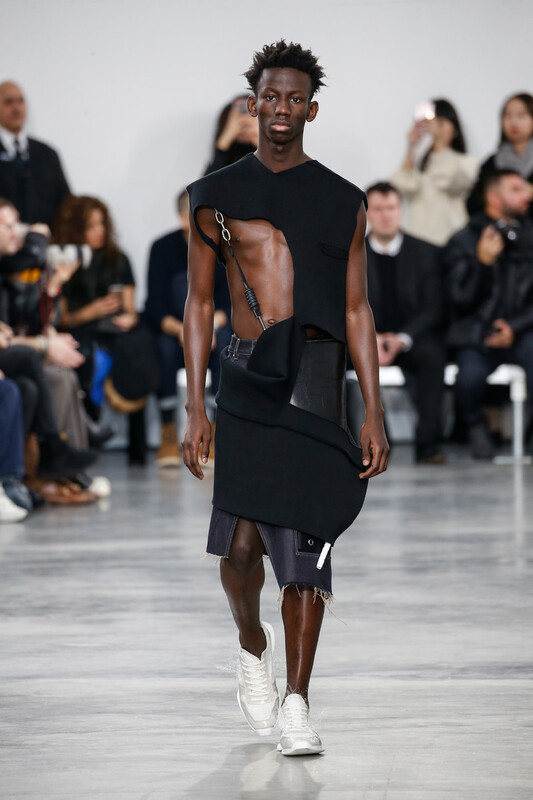 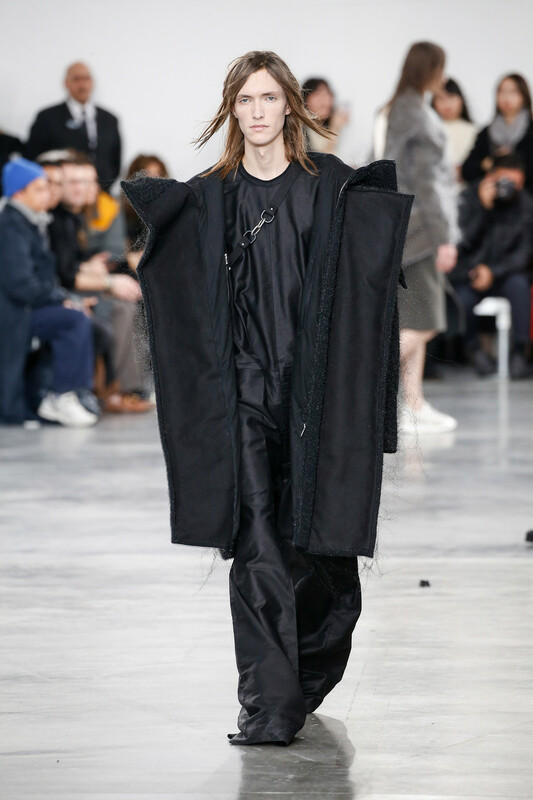 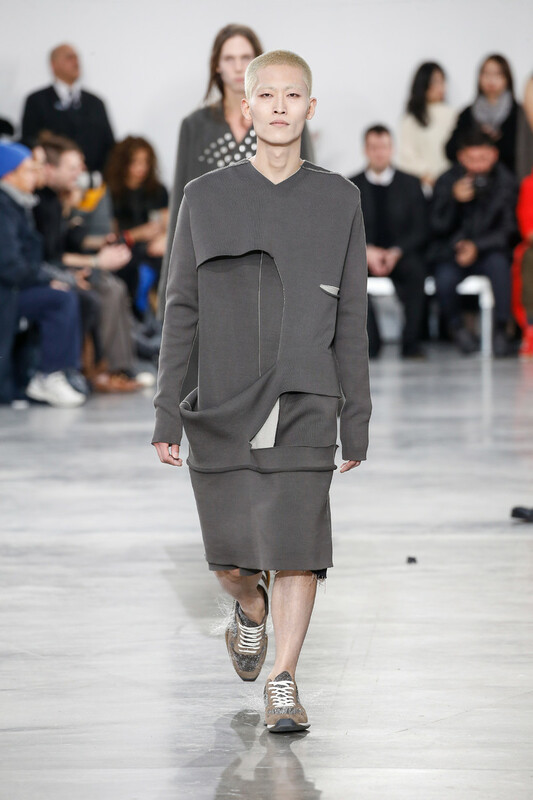 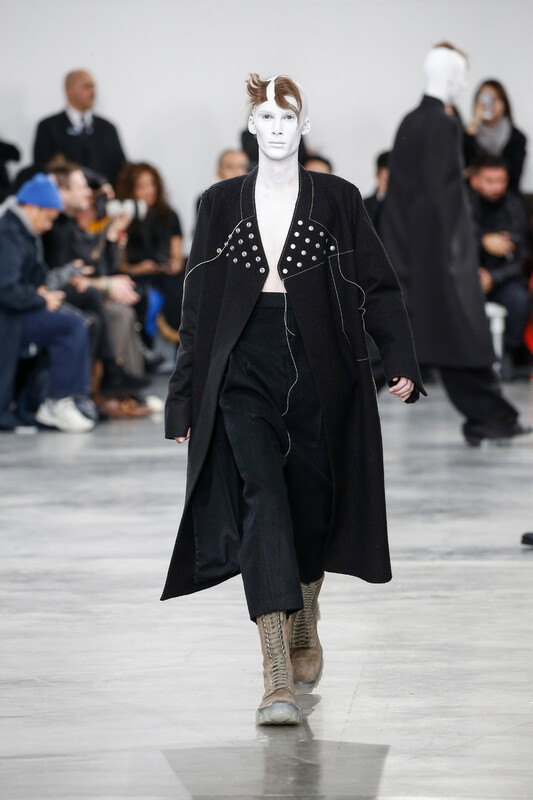 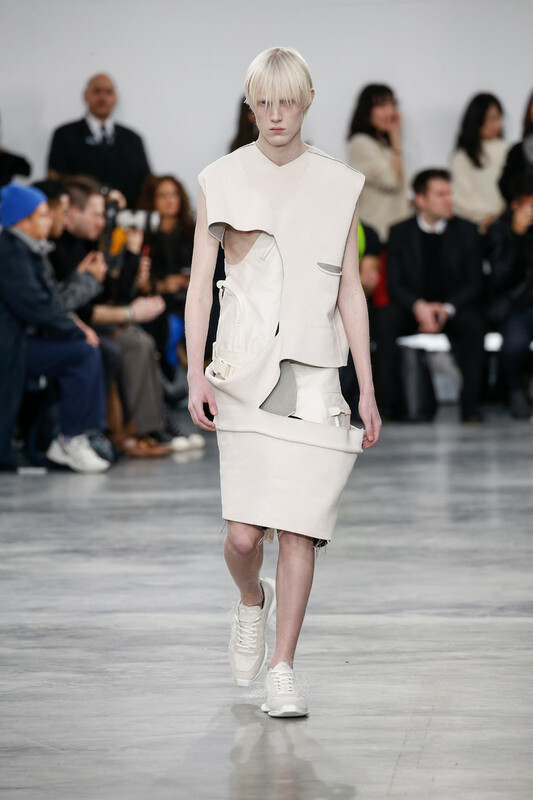 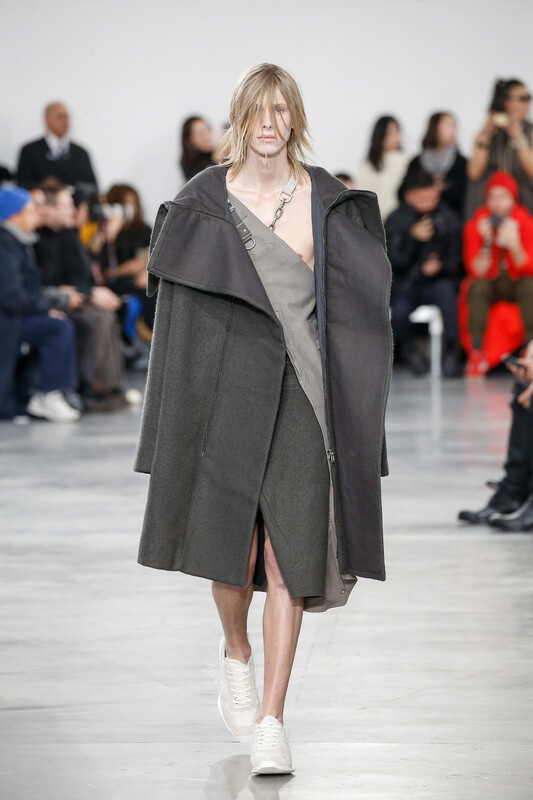 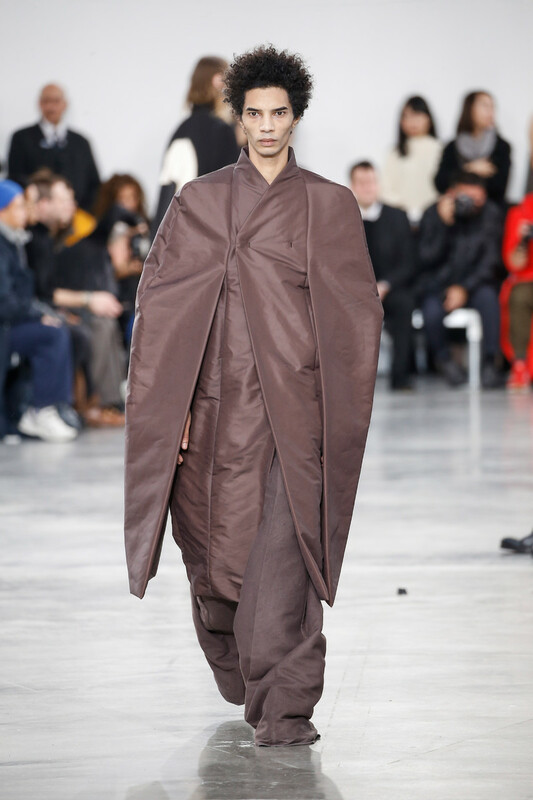 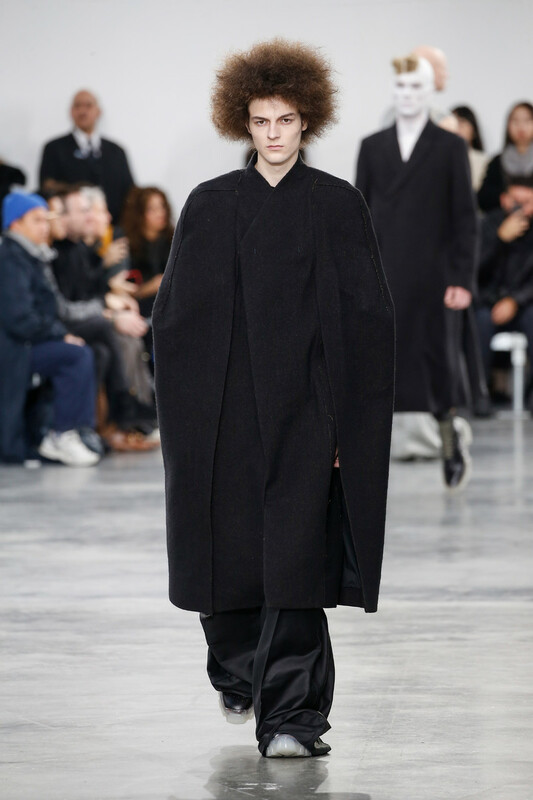 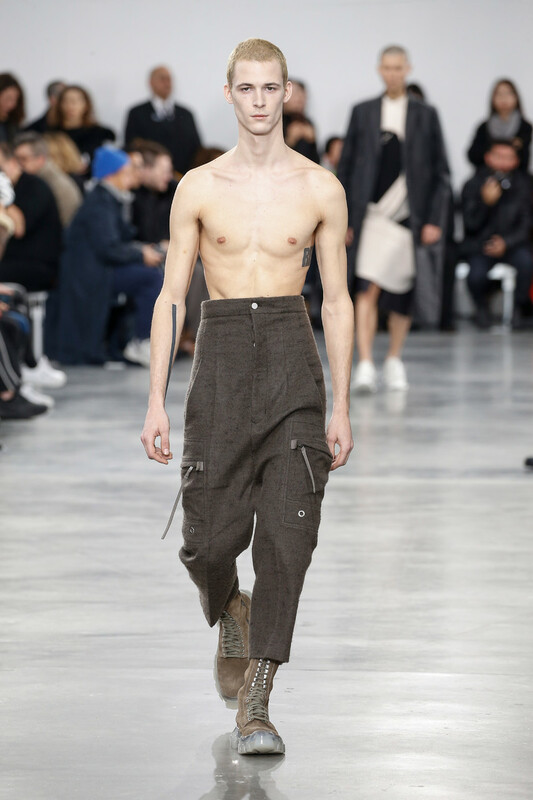 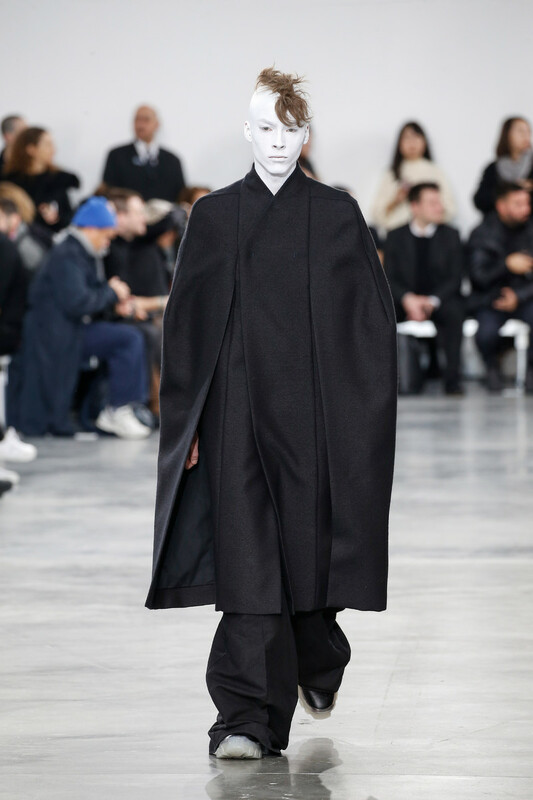 Rick Owens translated his anger in his fall win ter 2018 collection. 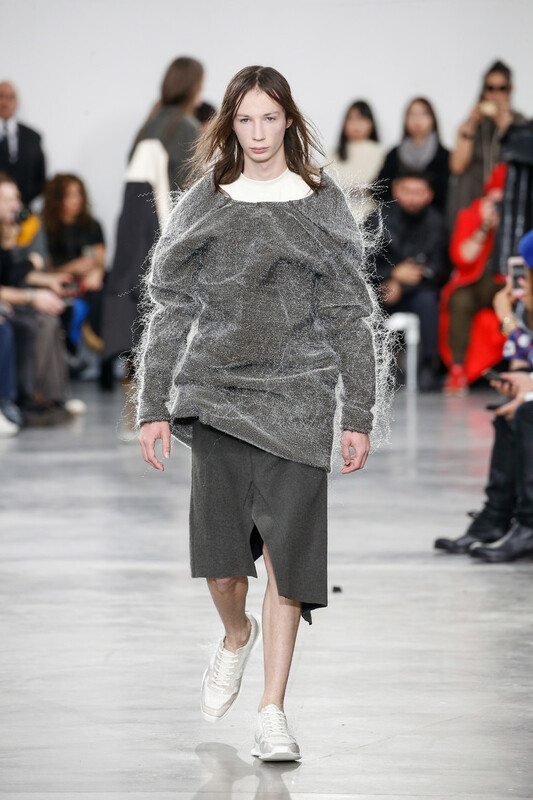 He experienced some frustrations lately, he told WWD. 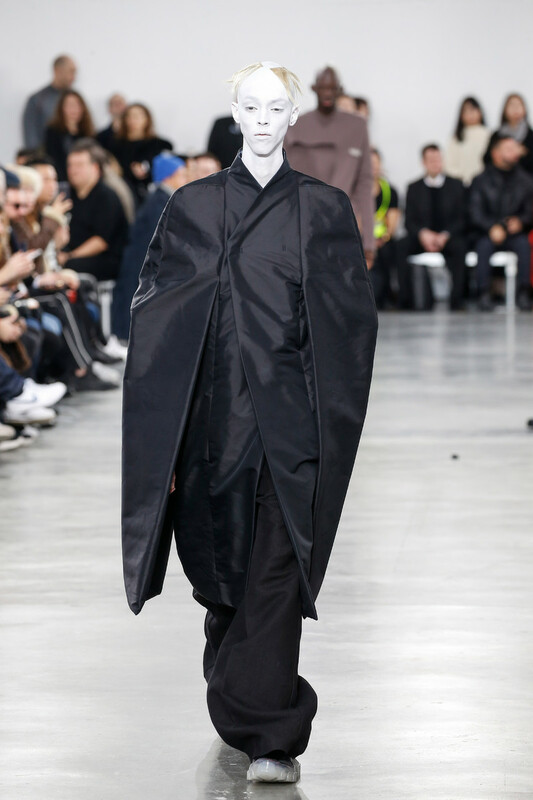 He had run up against technical limitations related to his exhibition in Milan, and to some special effects planned for his fall 2018 men’s show, leaving him two options: either push hard to get things done right or tame one’s ideas in the land of red tape. 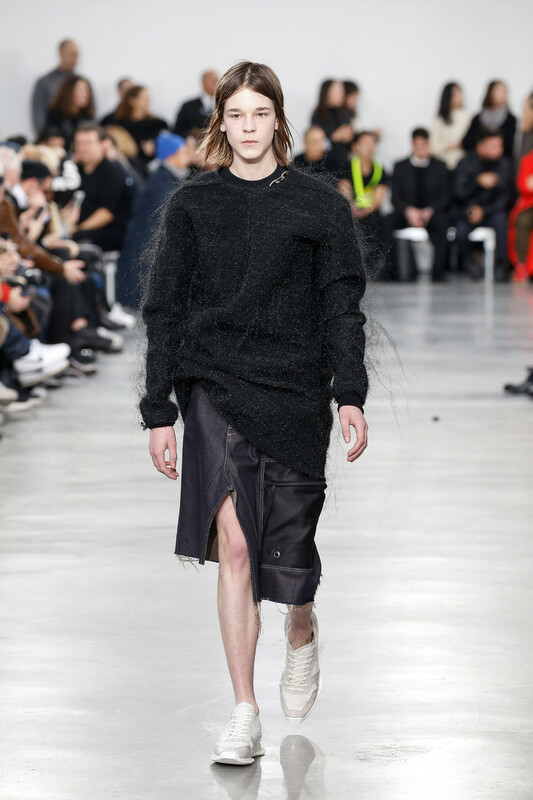 It’s a conundrum that extends to the wider socio-ecological-political climate, he argued. 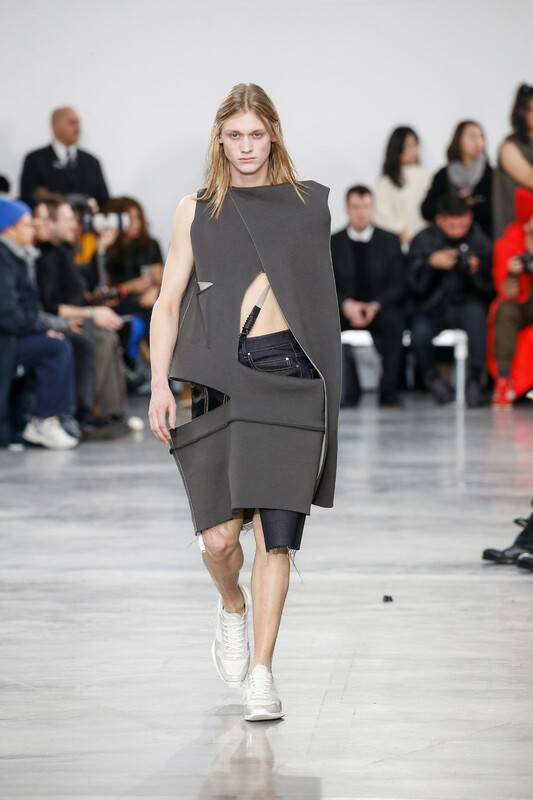 He unleashed his wrath working within his own framework, mixing grand sartorial gestures with a military-athletic vibe. 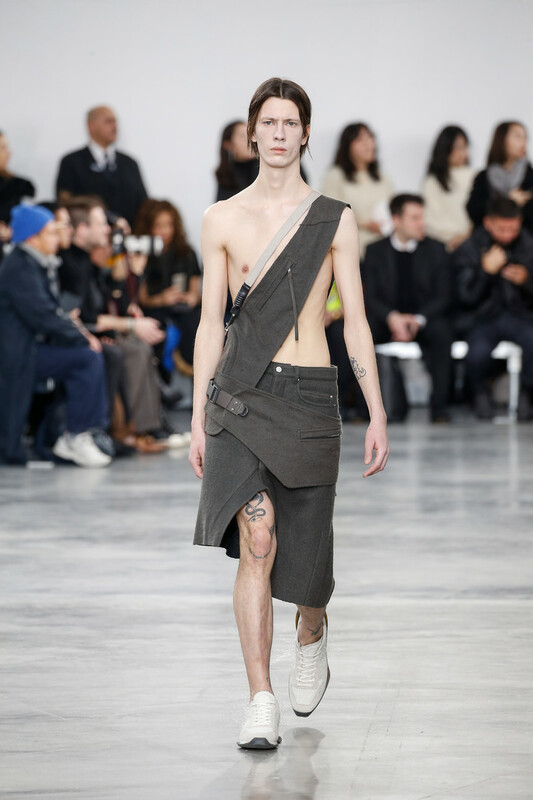 A lot of the clothes looked as if they had been mutilated, with aggressive cutouts on elongated tunics that allowed for peek-a-boo moments on the body, and asymmetric skirts that looked like they’d been crafted from slashed up shorts. 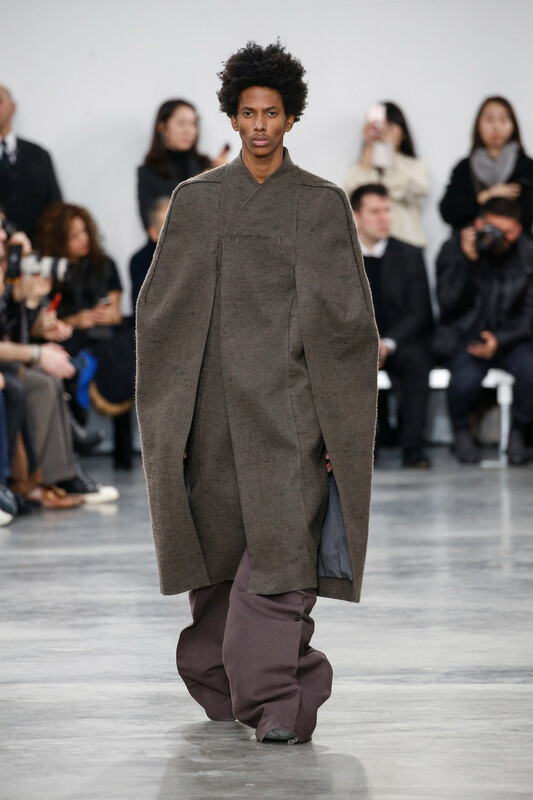 Conversely, a run of capes had their armholes sewn shut, the arms liberated only through slits at the front. 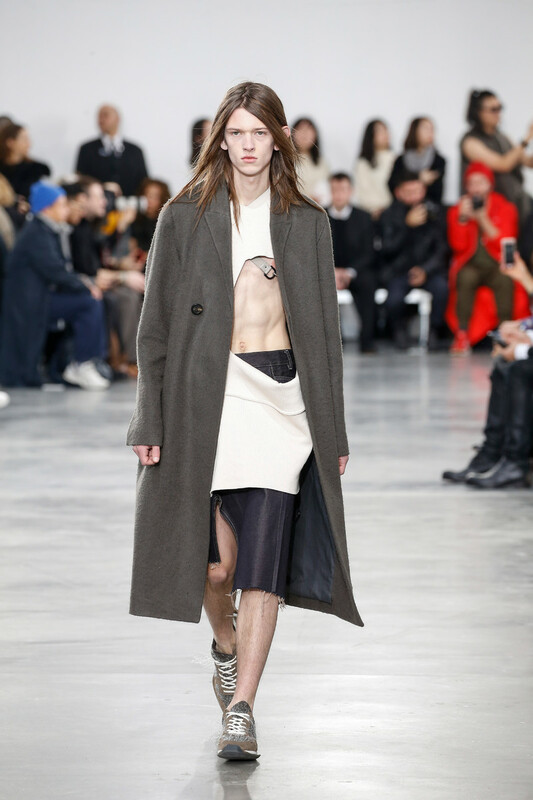 They added some chic drama. 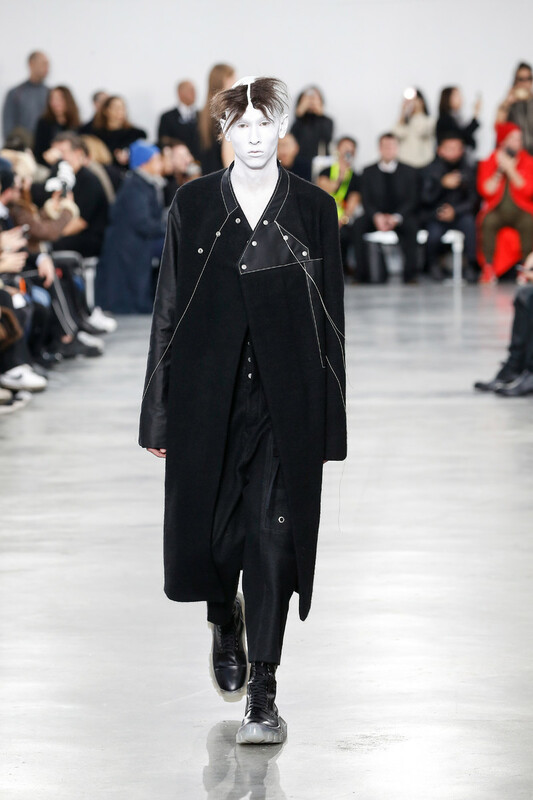 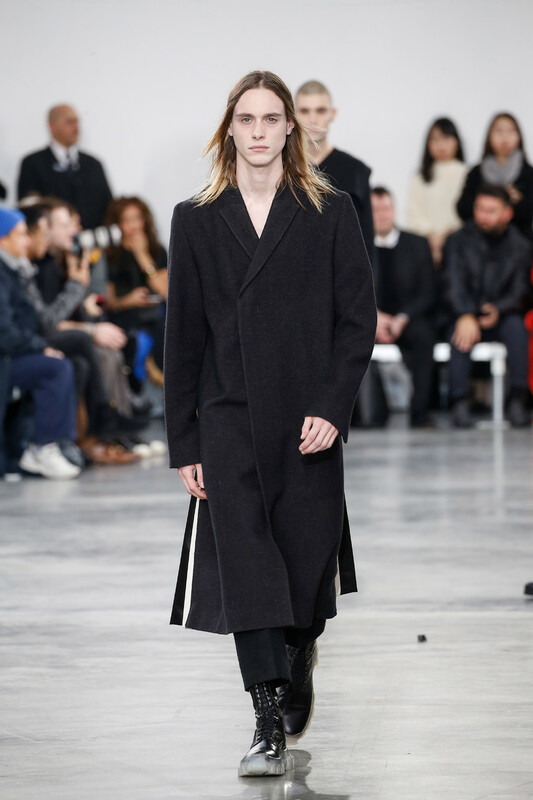 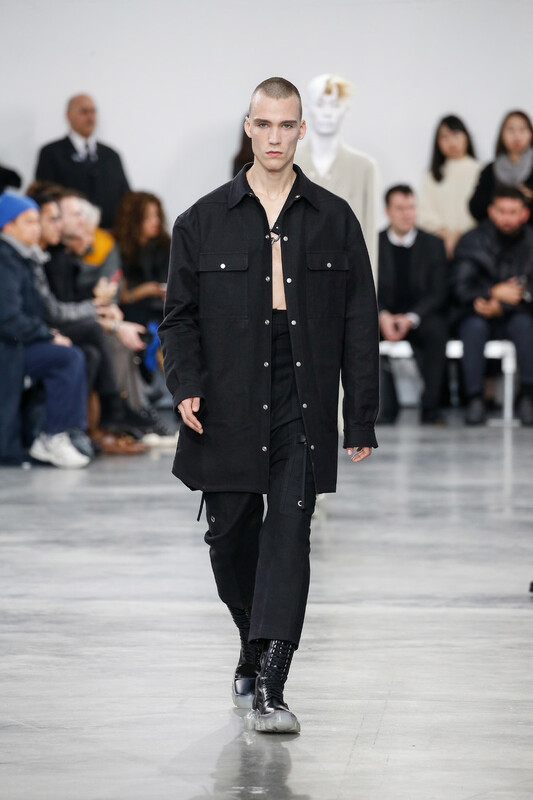 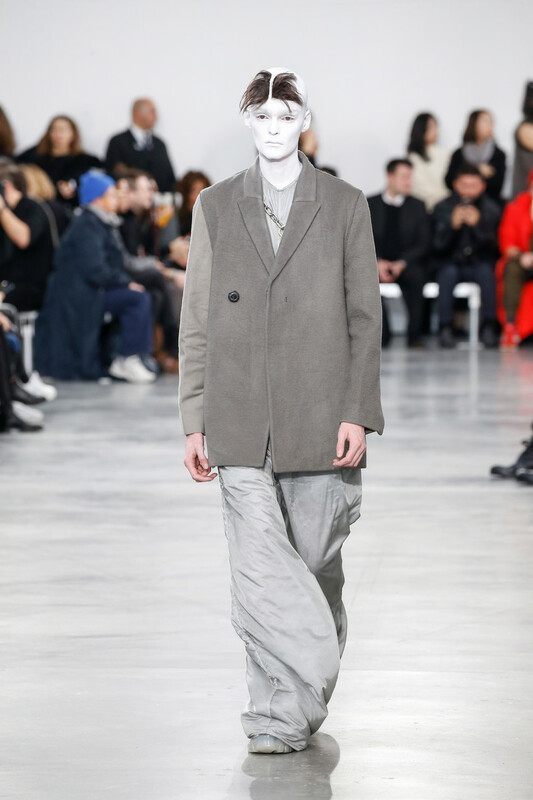 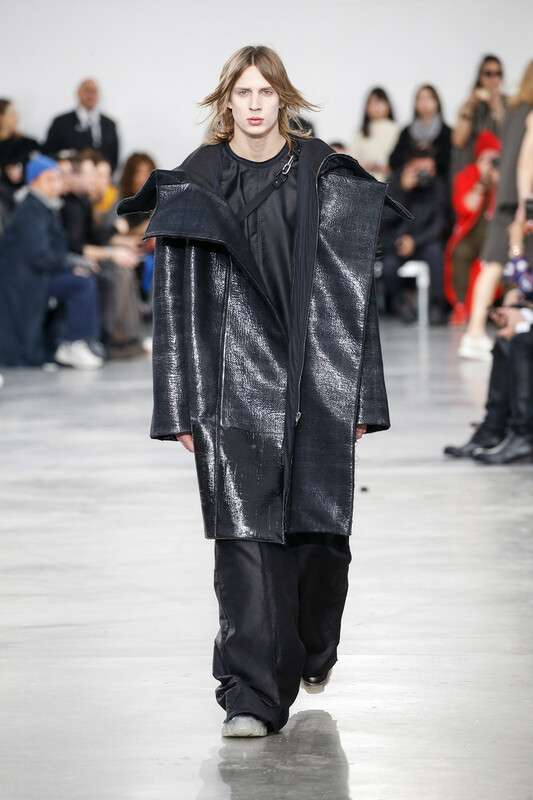 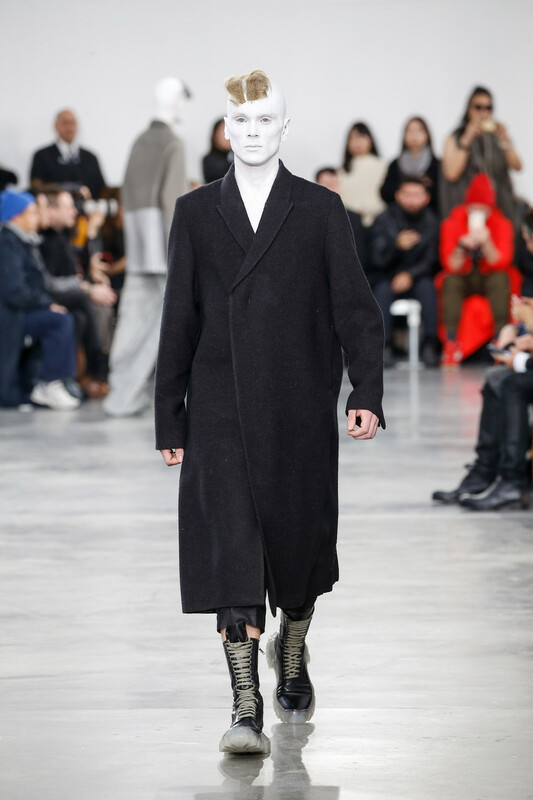 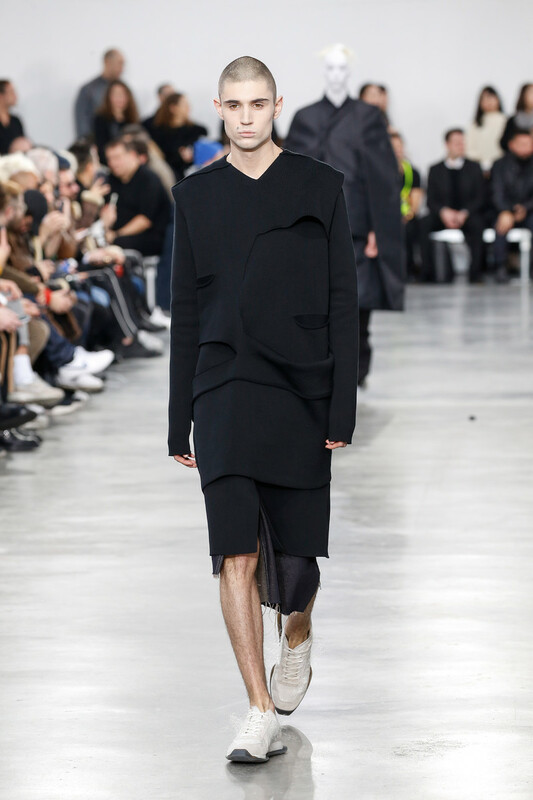 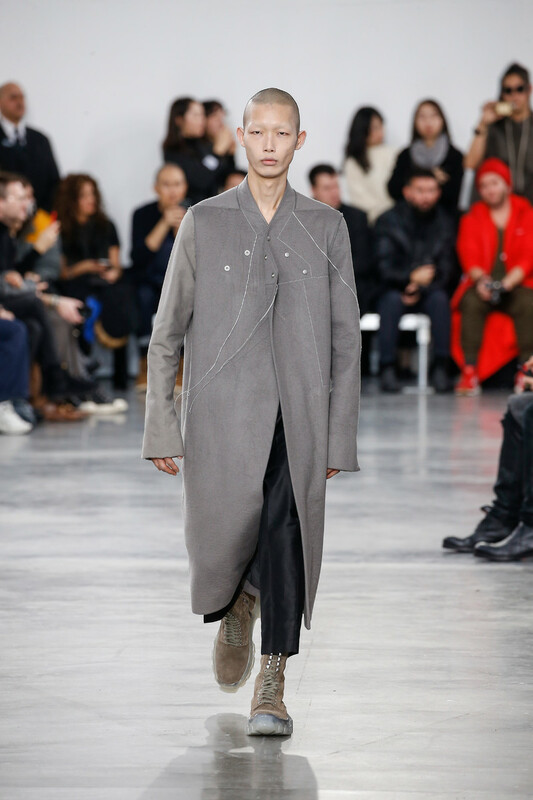 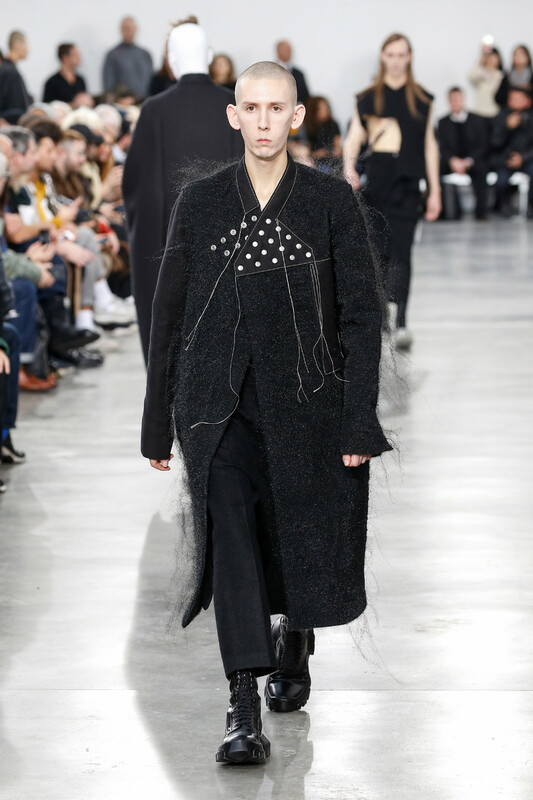 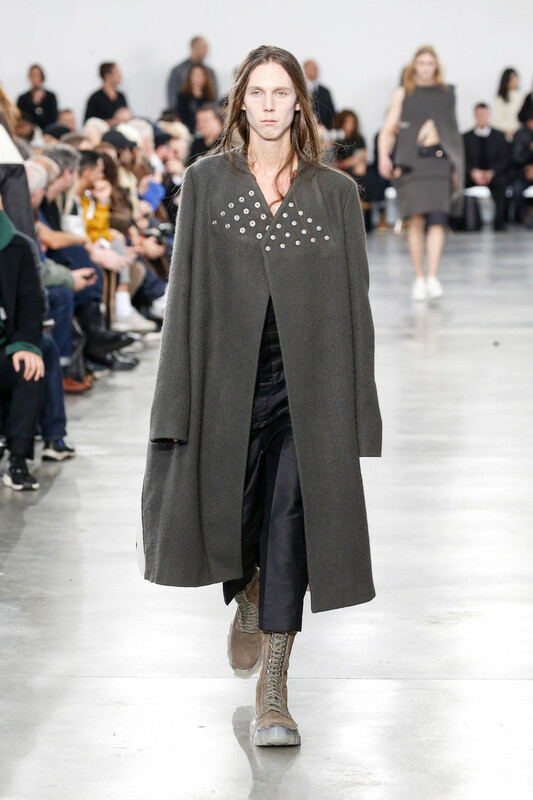 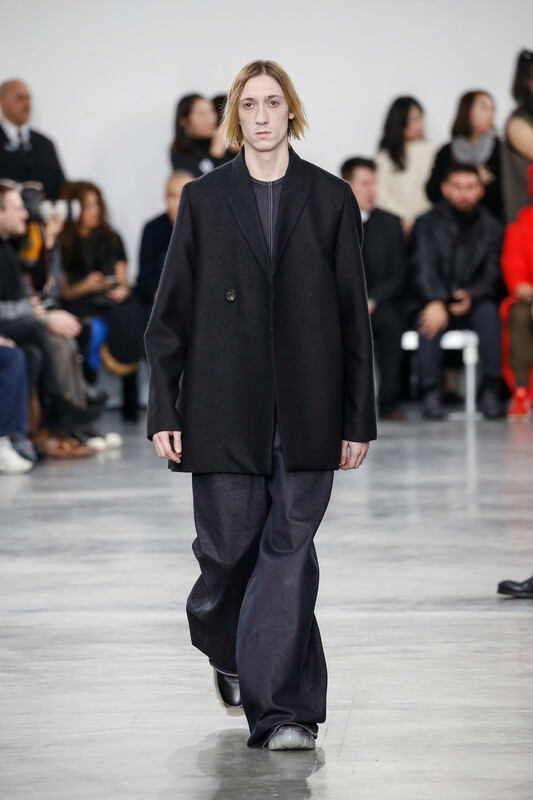 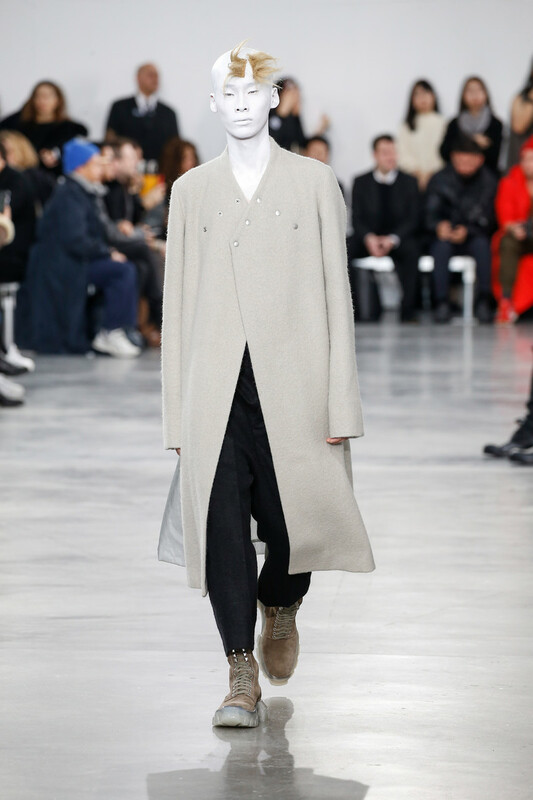 The collection had a great sculptural quality to it, applied to everything he touched including the boots and sneakers with platform molded soles, which added to the brutality of the ensemble. 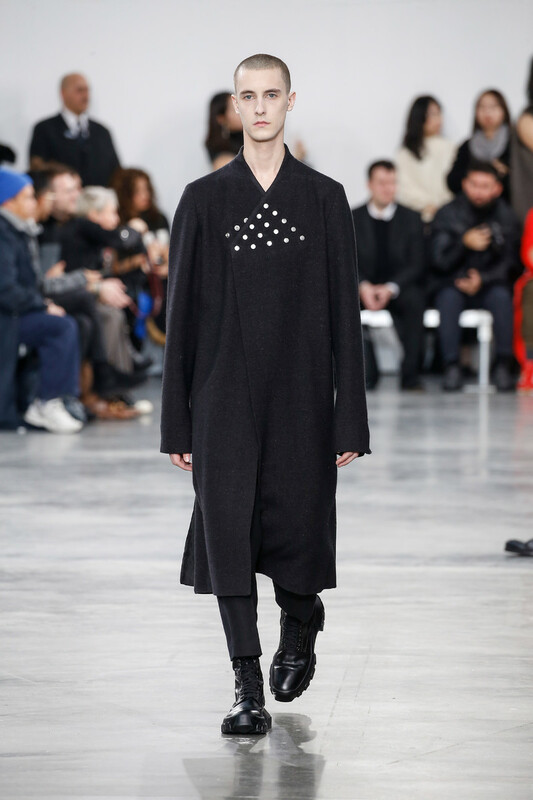 Owens also He reworked shapes from past seasons.